August 1st, 2018 will be eligible for Kindergarten. 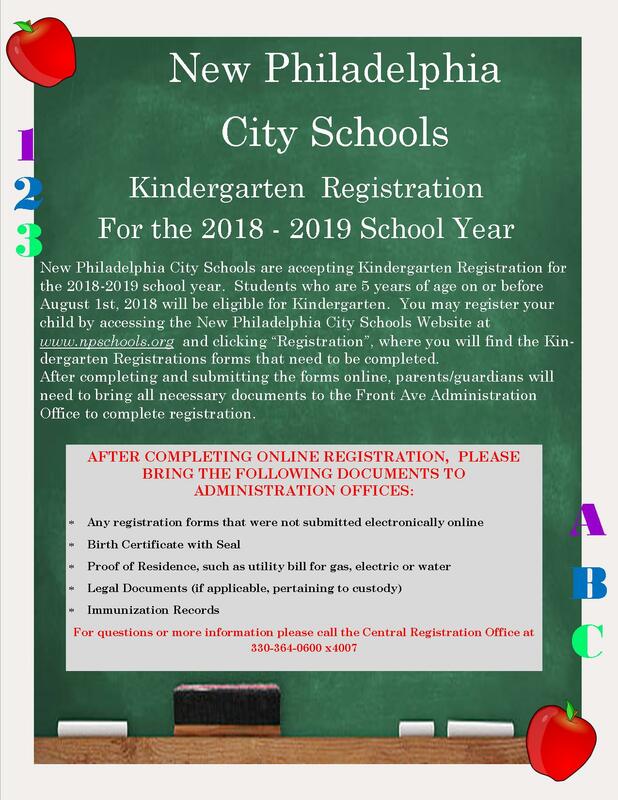 You may register your child by accessing the New Philadelphia City Schools Website at www.npschools.org and clicking “Registration”, where you will find the Kindergarten Registrations forms that need to be completed. After completing and submitting the forms online, parents will need to bring all necessary documents to the Front Ave Administration Office.